. A permanent or semipermanent connection between two individual optical fibers is known as fiber splice. 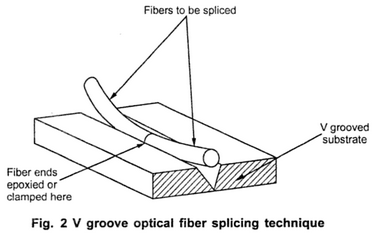 And the process of joining two fibers is called as splicing.
. Typically, a splice is used outside the building and connectors are used to join the cables within the buildings. Splices offer lower attenuation and lower back reflection than connectors and are less expensive.
. Fusion splicing involves butting two cleaned fiber end faces and heating tem until they melt together or fuse.
. Fusion splicing is normally done with a fusion splicer that controls the alignment of the two fibers to keep losses as low as 0.05 dB.
. Fiber ends are first prealigned and butted together under a microscope with micromanipulators. The butted joint is heated with electric arc or laser pulse to melt the fiber ends so can be bonded together. Fig. 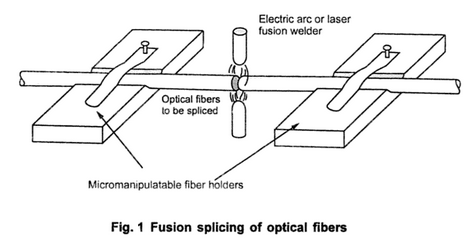 1 shows fusion splicing of optical fibers.
. 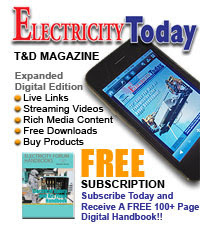 Mechanical splices join two fibers together by clamping them with a structure or by epoxying the fibers together.
. 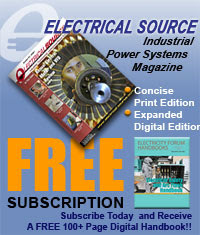 Mechanical splices may have a slightly higher loss and back reflection. These can be reduced by inserting index matching gel.
. V groove mechanical splicing provides a temporary joint i.e. fibers can be disassembled if required. The fiber ends are butted together in a V shaped groove as shown in Fig. 2.
. The splice loss depends on fiber size and eccentricity.